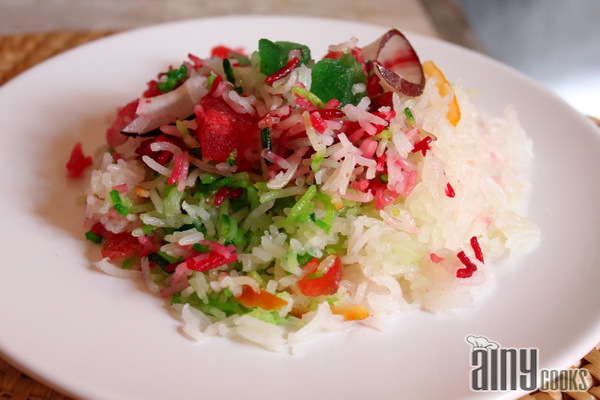 Zarda is the most famous Dessert in Pakistan specially Punjab. I have posted two types of zardas before, this recipe is not different in method which i have mentioned before but taste is different and rich because of khoya. 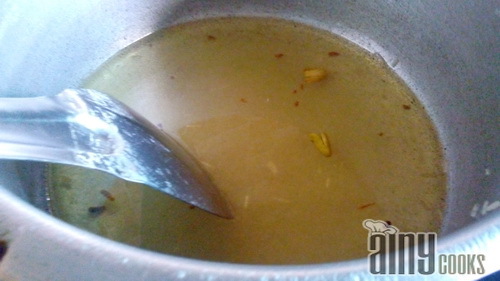 You can check my recipe of SHAHI ZARDA and ZARDA. In a pot boil water, add 1 tsp of vinegar for bright color of rice. Add rice in boiling water and cook till 1 kani left. In a pot melt ghee/ oil and add cardamom, let it crackle. Add sugar and 1 cup water. Stir till sugar melt. 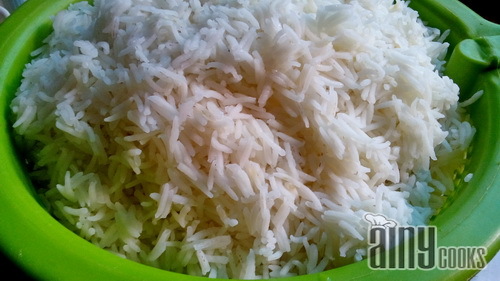 Add Rice and mix with sugar syrup. Let it cook till water absorb. 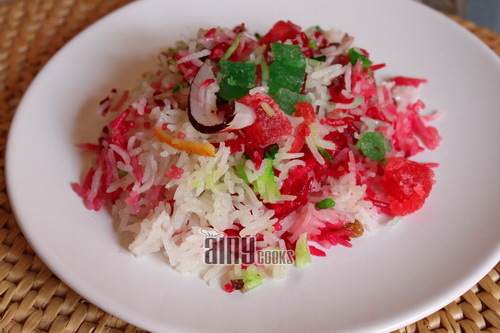 Now add khoya and with light hands mix in rice. 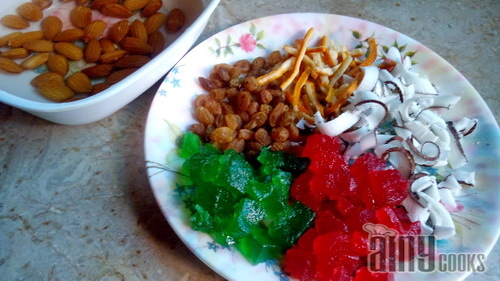 Save 3-4 tbsp khoya for garnish. Spread nuts, orange zest and ashrifian/ murabas. 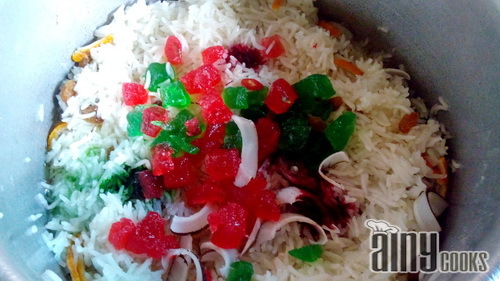 Drop red and green color on rice and cover with lid.